It’s the tail end of winter and the lemons are everywhere. I live in an adorable neighborhood where people fill their yards with fruit trees, flowers, and crazy-looking succulents. One house a block and a half down from me has a lemon tree out front, brimming with fruit every year in late winter. Right now there are a hundred, maybe two hundred, fruits on their tree. Every time I walk by, I consider knocking on their door and asking if I can buy a bucketful. To turn into lemon bars, lemon tarts, lemon meringue pies, lemonades. I haven’t worked up that much neighborly courage yet. The lemons in today’s recipe aren’t from my neighbor’s tree, but even the ones from the market are amazing this time of year. Lemon bars are a classic, a for-sure-instant-hit, and this recipe couldn’t be any simpler. Shortbread crust pressed into a pan. Sweet tangy lemon custard poured on top. Baked until the edges crisp, and custard just set. Powdered sugar on top. 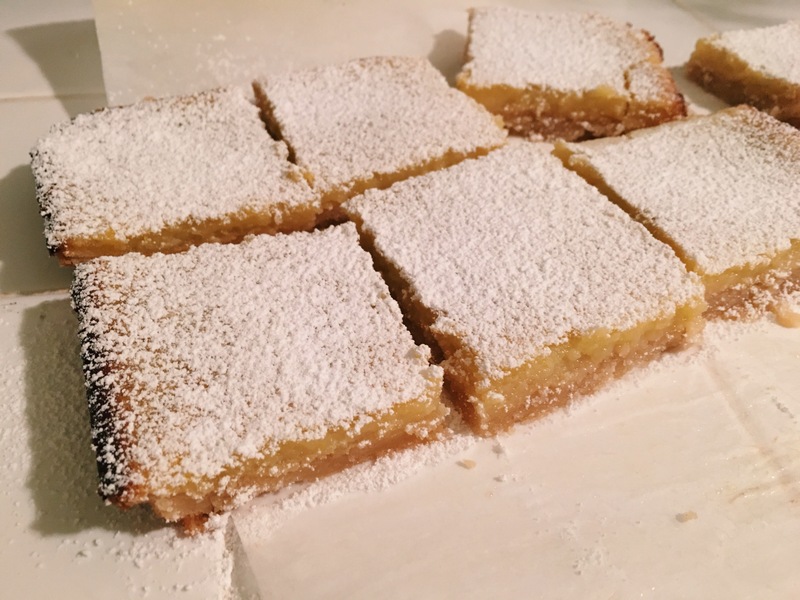 A simple recipe for lemon bars. Preheat the oven to 350F. 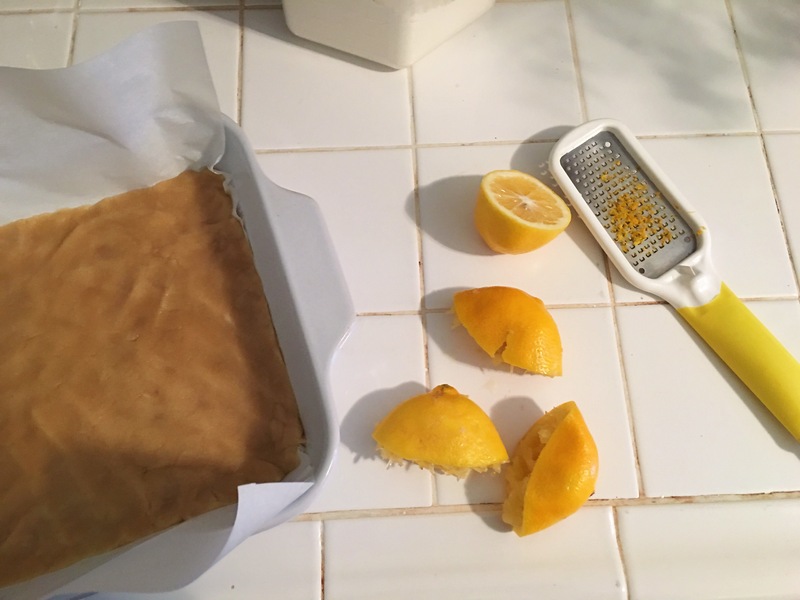 Butter an 8-inch or 9-inch square pan, and line the bottom with parchment paper. To make the crust, cream together the butter and both sugars. Stir in the all purpose flour and salt until the dough comes together very well. Press evenly into the bottom of your pan. Bake for 18-20 minutes until just barely browned. To make the filling as the crust bakes, whisk together eggs and sugar until light and pale. Add flour, lemon juice, and lemon zest. Whisk until thoroughly combined. Pour the filling over the hot crust. Return to the oven for 20-25 minutes, until the edges of the lemon filling are browned, and the center is no longer wobbly. You’ll want to watch these closely at the end– overcooking will change the texture. Let the bars cool, then dust with powdered sugar and slice. 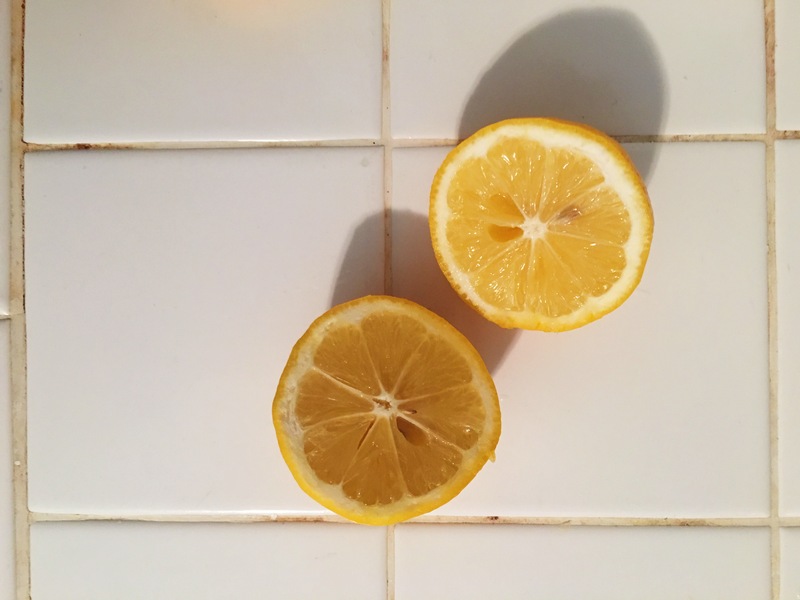 If you’re working with less-tart meyer lemons, you’ll want to use more lemon juice. I used about 1/3 cup, but you can go up to 1/2 cup if you want something very tart.